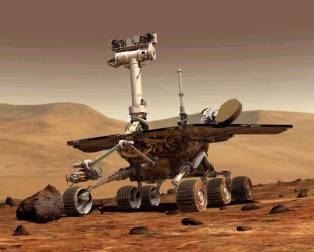 NASA’s Mars Exploration Rover Opportunity is already in its 7th year on Mars, and over the years it provided some quite useful information; researchers from NASA have been constantly working on ways to improve and optimize it by constantly uploading new software. Such is the case with the software they applied this winter, which makes it able to make its own choices about whether rocks are worth the effort of gathering additional information or not. Basically, the machine looks at a rock and sees if it meets the required criteria, such as colour or rounded shape. “It’s a way to get some bonus science,” said Tara Estlin of NASA’s Jet Propulsion Laboratory, Pasadena, Calif.
And she should know, as she’s a rover driver and senior developer of the software system.